INEC’s Director of Voter Education and Publicity, Oluwole Osaze-Uzezi, stated this in Abuja. Recall that a senator from the state, Kabiru Marafa, had at the Court of Appeal in Sokoto challenged the judgment of a Zamfara State High Court, which gave the APC the go-ahead to field candidates during the 2019 polls. On Monday, there were reports that the Court of Appeal nullified the APC primaries in the state on the grounds that the party did not conduct any primary election. After the judgment of the Court of Appeal, INEC on Tuesday suspended issuance of certificate of return to the governor-elect of the state, Alhaji Muktar Shehu. The state APC, the state governor-elect and other winners of the 2019 elections on the platform of the party in the state had on Tuesday written to INEC. Oluwole-Uzezi told said they won't rely on what politicians said, but to study the judgment of the Court of Appeal. “INEC does not rely on opinions of external solicitors that it hasn’t retained. It has enough in-house capacity and a list of external solicitors that it may consult from time to time as the case arises,” he said. Meanwhile, the Marafa-led faction of the APC in the state on Thursday wrote to INEC, asking for the withdrawal of the certificates of return issued to Governor Abdulaziz Yari and other candidates of the party who emerged victorious in the February 23, 2019 National Assembly elections in the state. The faction’s counsel, Chief Mike Ozekhome (SAN), signed the letter. He urged the commission to obey the March 25, 2019 judgment of the Court of Appeal in Sokoto by withdrawing the certificates of return which it said were “erroneously issued” to the persons. He stated, “Having been erroneously or deliberately ‘included in the election’ now pronounced illegal and void by the Court of Appeal by virtue of its being predicated on fatally flawed primaries, there is no basis whatsoever, whether in law, or under the Constitution, for those persons who emerged from this flawed process to hold on to, or keep in their custody, the certificates of return to which they were never entitled to in the first instance. 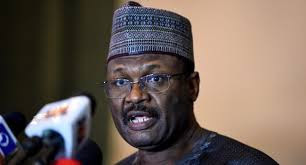 While INEC had issued certificates of return to Yari and other National Assembly candidates before the Monday’s judgment of the Court of Appeal, it later announced that on the basis of the judgment it would not issue same to the APC’s governorship and House of Assembly candidates in the state who emerged victorious in the March 9, 2019 governorship election.